Ah, the Ruger 10/22. The first firearm for many shooters and a perennial favorite used for everything from plinking to small game hunting and, in some cases, military applications. With over 5 million built in the past 50+ years, over a dozen factory variants, many more dealer exclusive variants, and hundreds – if not thousands – of aftermarket accessories available, to say that the 10/22 is popular would be quite the understatement. 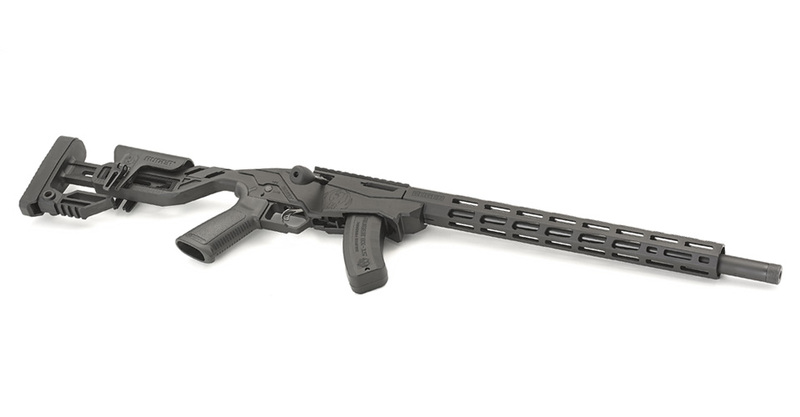 It could be that one of the reasons for the Ruger’s popularity over some other .22 semi-auto rifles is its reliability, due in part to its famous rotary magazine. Despite his feelings on so-called “high capacity” magazines, the late Bill Ruger did a pretty good job with this rifle and its feed system. The only problem with it is that, perhaps to Bill’s satisfaction, it only held 10 rounds. To solve that reduced-capacity magazine issue, a number of aftermarket magazines have popped up over the past few decades with varying degrees of success. Some degrees lower than others, in my experience (yes, I’m talking about you, BC Hot Lips and Eagle). 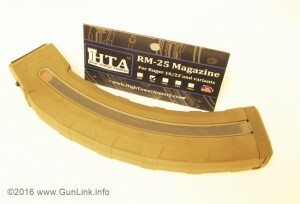 Thankfully, the folks out at High Tower Armory (HTA) in Minnesota seem to have done a good thing with their new RM-25 magazine. 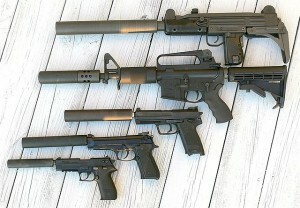 The popularity of gun mufflers has exploded over the past few years thanks, in part, to efforts by manufacturer conglomerates, silencer demos and events, social media hash-tags that bring awareness (#SilencersAreLegal, #FightTheNoise), and the relative ease of procuring them – despite the blatantly unconstitutional restrictions placed on them by laws and BATFE rulings. There is even legislative action to make them even easier to procure – requiring only a 4473 instead of the tedious NFA paperwork and wait time (contact your reps!). For more information on the extensive, award-winning line of Ruger® firearms, visit www.Ruger.com or www.Facebook.com/Ruger.